The day where everyone goes crazy over saving money and finding the best deals … something we at KillBiller know a lot about! We know how important your hard earned money is and saving a little bit extra can go a long way. Many UK networks have great online and in-store discount offers. 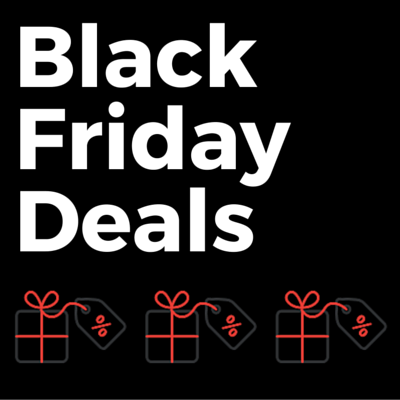 Black Friday is here and we've done the work for you by tracking down some of the best deals out there. Mobiles.co.uk and Vodafone have teamed up to offer an amazing deal on the iPhone 6s 64GB. By using the discount code 'BLACKFRI6S' you can save £125 off the cost of the phone upfront. This takes the upfront cost down from £225 to £100, with a monthly bill of £31. The plan includes generous allowances of unlimited calls and texts, and 6GB of data. Not bad Vodafone! Samsung Galaxy S6 (32 GB) available on Vodafone for free at £22 per month including 500 minutes, unlimited texts and 500 MB data (saving £200 on the upfront cost of the handset). Samsung Galaxy S6 Edge (32 GB) available on EE for £50 at £32.49 per month including unlimited minutes, unlimited texts and 5 GB data (saving £100 on the upfront cost of the handset). HTC A9 available on O2 for free at £23.50 per month including 500 minutes, unlimited texts and 500 MB data (saving £200 on the upfront cost of the handset). LG G3 now £225, down from £400 on Pay as You Go. Sony Xperia M4 Aqua now £99, down from £175 on Pay as You Go. Samsung Galaxy S2 Tablet at £0 upfront fee, with a 10GB of 4G data for £37 a month. HTC 626 on Pay as You Go down £135.99 from £169.99, a saving of £34. Samsung Galaxy Alpha on Pay Monthly save £120. Was £23.50 a month, now £18.50. With £0 payment upfront. UE Boom speaker now half price, down from £169.99 to £84.99. Samsung Galaxy S6 for £9.99 upfront and £34.99 a month. With an allowance of 2GB of data, 1000 minutes and unlimited texts. LG Spirit and Sony Xperia M4 Aqua half price on Pay as You Go. Samsung Galaxy S6 32GB save £125, with billpay plans starting from £29 a month. Sony Xperia Z5 32GB save £159, with billpay plans from £34 a month. People in the UK are expected to spend a whopping £12,384 every second online during Black Friday! So it's high-time to get working through that Christmas list. We hope you find some great deals!. KillBiller finds you great deals all year round . We'll be launching in the UK shortly and would love to get testers on board to gather feedback on our app. Our aim is to cut through the confusion of finding the cheapest mobile plan. Sign up to be a tester via this link!